Hay mucha alegría relacionada con la actualización de su hogar. Sin embargo, esto también puede costar un poco de tiempo y dinero. Si planea realizar sus propias actualizaciones, sin la ayuda de profesionales, debe asegurarse de que está preparado para esto. Tenga en cuenta que hay algunas tareas que, si se hacen mal, pueden causarle más dolores de cabeza de lo que nunca imaginó. Cada vez que se involucre en proyectos relacionados con la plomería, debe hacerse esta pregunta: ¿puedo manejar el trabajo por mi cuenta, o debo buscar en mis bolsillos y contratar a un plomero profesional? Si no sabes lo que estás haciendo, trágate el orgullo y contrata al profesional. No se arrepentirá de esta decisión en el largo período de tiempo. 1. Añadiendo un nuevo tocador. Esta es una actualización popular si un baño grande o pequeño. Desafortunadamente, significa que tendrá que sacar el fregadero y reorganizar la tubería. Si bien este no es el trabajo más difícil, es uno con el que puedes tener dificultades. Por el contrario, un fontanero puede reparar todo de la forma en que debería estar y al mismo tiempo asegurarse de que nunca tenga que preocuparse por las fugas. 2. Poner en una bañera nueva. Una vez más, este es un proyecto de baño. Cuando pones una tina nueva, estás haciendo mucho trabajo. Esto no solo puede llevar a un contratista profesional, sin embargo, cuando se trata de la parte de plomería, es posible que también deba contratarlos. Una bañera con fugas que no se puede ver causará daños graves. 3. Renovación de la cocina. Si está buscando una manera de aumentar el valor de su hogar, no debe descuidar la renovación de la cocina. Este proyecto casi siempre requiere un plomero profesional. ¿Desea instalar un inodoro, grifos o lavamanos nuevos? ¿Qué hay de mover las conexiones de plomería de un lado de la habitación a la siguiente? Todos estos trabajos suelen requerir un plomero profesional. ¡Remodela tu hogar de la manera correcta con Elizabeth Drain Service! Llámenos hoy al (908) 988-0365. WHY DOES HAIR KEEP STICKING IN PLUMBING DRAINS? Hair sticking in your plumbing drains is one of the most common causes of drain clogs in shower, and in some bathroom sinks. You may find yourself pulling and tugging on the hair that escalates there every month or so and wonder why on earth it can’t just wash on down the drain. After all, it’s not like you have a few of hair falling out every time you shampoo and shaving only normally cuts off small sections at a time. What most people don’t know about hair is that it’s constructed with tiny scales all along the hair shaft. It’s naturally created this way as it grows in length. Think of the scales of a fish for a bit. When you slide your finger along fish scales in the direction of head to tail, it’s very smooth. But slide your finger the other way and you know there are scales that stop you every step of the way. Hair is constructed very similarly in that in one direction it’s smooth but the other it will stick to just about any surface. These scale like parts of the hair shaft are what makes the hair want to stick to itself and other things, especially when wet. Add to that some small soap pieces from your bar soap leftovers that always seem to slip on down the drain and you have a clumpy mess of sticky substance in your drains before you know it. You can’t very well stop losing your hair when you shower, so that’s out of the question if you want to keep your plumbing drain clogs from hair at a minimum. You can, but, purchase a drain filter or strainer that is built to keep out hair and other such debris. Your bathtub probably already has a strainer or some other plug available, but it may not sufficiently blog hair. You can do a search on the Internet for bathtub or sink hair catcher and find any quantity types that will fit your home’s bathtub and other plumbing drains. You should also get a drain cleaner that’s made of plastic and looks like a tiny jigsaw blade with a small handle on one end. This mini tool is great at catching on to sticky hair wads in your drain and pulling them up. They are perfectly made of a flexible plastic material and have little barbs or teeth that will grab the hair which won’t hurt your drain system at all. You will probably need to clean out your plumbing drains this way every couple of months, depending on how many people use the shower, tub, or sink. If you ever wind up with a drain clog from hair or other materials, never use a drain cleaner. Try the plumbing drain cleaning method above and if you still can’t remove the clog, call us and we’ll clear out your plumbing drains well. Call our plumbing repair team at Elizabeth Drain Service today! If you are looking for plumber in Elizabeth New Jersey or other plumbing services, please call Elizabeth Drain Service at (908) 988-0365. Escuchamos varios mitos y suposiciones falsas todos los días, especialmente con la presencia moderna de las redes sociales en el mundo de hoy. Pero los riesgos reales a tener en cuenta son los mitos y mentiras dañinos que le cuestan dinero, seguridad y comodidad. Para ayudar a eliminar la gran cantidad de ideas erróneas sobre la plomería, el agua y el dinero, compartimos los mitos y los hechos más comunes de la plomería. MITO: Las reparaciones no deberían costar más que los materiales. Identificar adecuadamente el problema de plomería y la causa raíz. Dale la mejor solución para tu hogar. Instala las partes correctamente la primera vez. Proporcionar una garantía y mano de obra y materiales. MITO: El estimado de plomería más bajo le ahorra dinero. HECHO: Nuestros instintos diarios son ir con la cotización más baja que podamos encontrar. Desafortunadamente, esto puede llevar a mayores costos en general. Desea elegir el contratista que le proporcionará el costo más bajo en general. Si bien los costos iniciales son algo de lo que se debe tener cuidado, también debe considerar que estos equipos deben durar un largo período de tiempo. La calidad de las piezas. Garantías y promesas de "ir más allá". Muchos plomeros y operarios cotizarán un precio bajo para obtener el trabajo, pero proporcionarán un trabajo pobre y de mala calidad. Si retiene la reparación inicial, podría enfrentar costos de mantenimiento más grandes y reparaciones más frecuentes en el futuro. Además, a mitad de camino en el trabajo, el precio podría cambiar de manera significativa. Desea contratar a alguien que cumpla con sus garantías iniciales de precios y satisfacción. Si un plomero ofrece alguna garantía, asegúrese de obtenerlo por escrito. Su casa es una inversión importante. Cuando sea posible, desea centrarse en la calidad y la durabilidad sobre los costos iniciales. Evite manitas en general para plomería grave. Cuando llama a un plomero profesional, obtiene plomeros altamente calificados que llegan a tiempo en vehículos completamente equipados. Póngase en contacto con el Servicio de Elizabeth Drain para obtener un servicio al cliente excelente, calificado y asegurado. There is a lot of joy involved with updating your home. Though, this can cost a bit of time and money as well. If you’re planning on making your own updates, without the help of professionals, you need to ensure you are up for this. Bear in mind, there are some tasks that if done wrong can cause you more headaches than you ever imagined. 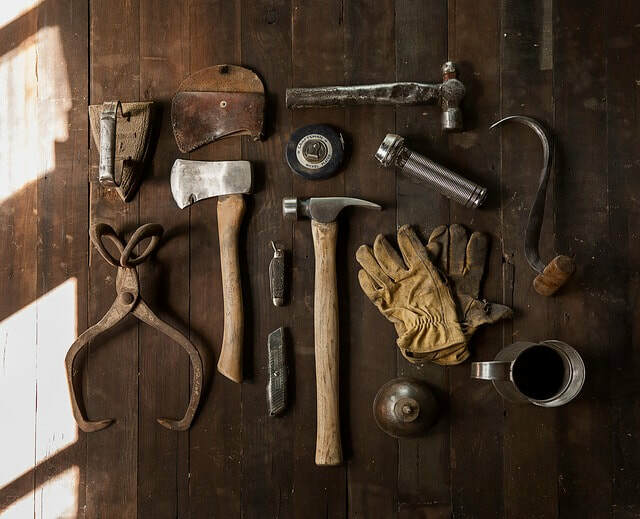 Anytime you are getting involved with projects related to plumbing, you need to ask yourself this question: can I handle the job on my own, or should I dig into my pockets and hire a professional plumber? If you don’t know what you are doing, swallow your pride and hire the pro. You will not regret this decision in the long period of time. 1. Adding a new vanity. This is a popular upgrade whether a big or small bathroom. Unfortunately, it means that you will need to take out the sink and rearrange the plumbing. While this is not the most difficult job, it is one that you may struggle with. In contrast, a plumber can fix everything back up the way it should be while also making sure that you never have to worry about leaks. 2. Putting in a new bathtub. Once again, this is a bathroom project. When you put in a new tub you are doing a lot of work. Not only may this take a professional contractor, however when it comes to the plumbing portion you may need to hire out as well. A leaking tub that you can’t see will lead to severe damage. 3. Kitchen renovation. If you are looking for a way to increase the value of your home a kitchen renovation should not be neglected. This project almost always calls for a professional plumber. Do you want to put in a new toilet, faucets, or sinks? How about moving the plumbing hookups from one side of the room to the next? All these works usually call for a professional plumber. Remodel your home the right way with Elizabeth Drain Service! Give us a call today at (908) 988-0365. When was the last time you thought about your home’s plumbing fixtures? Let’s be honest, we don’t think about it much unless there’s a problem. As long as it’s knocking off the waste, we’re happy. But once the plumbing starts causing anxiety, then it becomes everyone’s concern. If only we learned to take care of the little things that can turn into big problems. While it’s an unfavorable truth to accept, toilets don’t last forever. Even if it’s because of time or use, once in a while they need to be replaced. Therefore, if you’re planning a bathroom renovation, it’s definitely wise to upgrade to a new low-flow toilet. High-power dual flush toilets save water usage, and help the living world. If you always had a dream bathroom and are finally making it happen, then there are a whole lot of fixtures that need changing. Just for luxury’s sake though. You’d be amazed at some of the crazy technology in bathrooms nowadays: self-cleaning toilets, heated toilet seats, and more. While people like spending time on the couch, spending time in the bathroom is just next level alone time. Let’s just accept how much we enjoy standing under a hot shower thinking about the finer things in life. This is why replacements in the bathroom are always a great and wise investment. One of the most usually occurring and most irritating plumbing issues in the bathroom or kitchen is a leaky faucet. Thank goodness replacements come cost-effective! Despite the fact that most times only an internal component needs replacement, leave the job in the capable hands of a professional plumber. A lot of people simply choose to replace the component parts to save money, but upgrading to a new faucet with more pleasing value is also a common option. If you have a constant problem with the toilet running, you need to get this took care of by a plumber. For one, you’re throwing money away and hurting the environment by wasting water. But it could also be a sign of a bigger problem hiding out. It may be as simple as a problem with the float arm, but even this small problem could be a reason to upgrade to a new high-power low-flow toilet as discussed above. If you have a shower hose in your bathroom, you may not always treat it gently. You might be late for work or you simply aren’t very familiar about placing it in its holder. If you have kids, you know how they find ways to break the unbreakable. If you have an issues with leaking or water flow, it may be as simple as replacing the shower hose. Once more, this serves as an example to reconsider your plumbing fixtures anyway. Contact Elizabeth Drain Service at (908) 988-0365 for all your plumbing needs! Buenos sistemas de calefacción son necesarios para cada hogar. Incluso si tienen unidades de calefacción centralizadas o solo las locales, ambas requieren un mantenimiento adecuado. Aunque los avances modernos en tecnología han mejorado las operaciones del sistema de calefacción en la actualidad, las máquinas seguirán siendo máquinas y siempre necesitarán reparaciones en el camino. Para esta parte en particular, necesitará manos profesionales para resolver sus problemas de reparación de calefacción. Contratar a un plomero profesional en las reparaciones de calefacción de Elizabeth, New Jersey dentro de su casa siempre es una decisión inteligente. Esto le ahorrará tiempo y dinero. Para empezar, si no tiene experiencia previa en reparaciones, solo hará más por el daño existente, que luego se suma a reparaciones costosas. No querrías eso, ¿verdad? A través de Internet, puede obtener diferentes agencias de reparación locales para el trabajo. Obtener uno significa que debe asegurarse de que el servicio sea plenamente capaz y competente, o de lo contrario terminará con sus problemas de calefacción nuevamente. Sería inteligente no caer directamente en sus tentadoras promesas en sus servicios. Su preocupación ahora es tomar esa buena decisión entre tantas opciones antes que usted. Experimentar los meses de invierno con sistemas de calefacción dañados es un total no-no. Se recomienda encarecidamente que revise los sistemas de calefacción de sus casas para detectar posibles daños y actúe de inmediato contratando profesionales para sus problemas de reparación de calefacción. Puede pensar profundamente dentro de usted que puede ser capaz de realizar el trabajo usted mismo, pero sin el equipo adecuado necesario, no está en condiciones de permitirse solo porque quería reducir los costos de mano de obra de reparación. Las agencias de reparación de calefacción típicas no se limitan a sus funciones principales. También pueden hacer otras tareas productivas también. Hay momentos en los que se encuentra quejándose de las altas facturas de electricidad. Puede ser así si su propio sistema de calefacción no funciona correctamente. El hecho de que los profesionales echen un vistazo y verifique el sistema anualmente sin duda ayudará a prevenir tales complicaciones de su parte. ¡Si busca un plomero profesional en Elizabeth, Nueva Jersey, llámenos hoy mismo al (908) 988-0365 para todas sus necesidades de plomería! Good heating systems are necessary to every home. Even if they have centralized heating units or just the local ones, both still calls for proper maintenance. Even though modern advances in technology have improved heating system operations nowadays, machines will remain machines, and they will always need repairs along the way. For this particular part, you are going to need professional hands to deal with your heating repair problems. Hiring a professional plumber in Elizabeth, New Jersey heating repairs inside your house is always a wise move. This will both save you time and money. If you have no prior expertise in repairs to begin with, you will only do more to the existing damage, which then sums up to costly repairs. You wouldn’t want that, would you? Through online, you can get hold of different local repair agencies for the job. Getting one means you have to ensure that the service is fully capable and competent, or else you will end up with your heating problems again. It would be smart not to fall directly for their tempting promises in their services. Your concern now is making that good choice from so many options before you. Experiencing winter months with damaged heating systems is a total no-no. You are strongly advised to check out your houses’ heating systems for any possible damage and act on it right away by hiring professionals for your heating repairs issues. You may think deep inside you that you can be able to pull out the job yourself, but without the proper equipment needed, you are in no condition to let yourself in for it just because you wanted to cut repair labor costs. Typical heating repairs agencies are not limited to their main functions. They can also do other productive tasks as well. There are those times that you find yourself complaining of high electricity bills. It may be so if your own heating system is not working properly. Having professionals to take a look and check the system on an annual basis will definitely help prevent such complications on your part. If you’re looking for a professional plumber in Elizabeth, New Jersey, then give us a call today at (908) 988-0365 for all your plumbing needs! For as always as we use them, bathrooms are a place than can lead to some serious stress once something goes wrong. Yes, there are some simple issues that we can try to handle and resolve ourselves, but when it comes to ones that we can’t, a highly-skilled plumber can save the day! If you’ve got plumbing problems in your bathroom or kitchen, here are some reasons why you should call a plumber. It may sound unimportant, but after a one or two weeks or even days of having a leaky faucet, it can really take a demand on your monthly water bill. 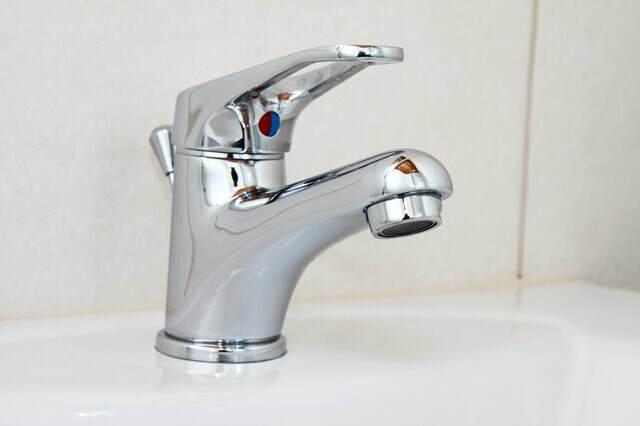 And apart from your increasing bill and the annoying sound, that faucet may cause more severe problems as that water can trickle and pool, leading to water damage to your surrounding structures. Clogged drains happen more often than we’d like them to. However the reality is for as often as they’re used, blockages are simply impossible to avoid. So when you observe that water beginning to rise or your drain is struggling to cope, a professional plumber should be the first person you call, especially if it’s a continual problem. Just like leaky faucet, having a toilet that continues to run well after it’s been used, can also be equal to some major problems and an excessive monthly bill for you to deal with. Avoid a spike in your water bill and have it fixed. If a foul, sewage-type of odor occurs in your bathroom, there could be a stoppage in the sewage line or sump pump. No one wants to suffer that odor, so always call a plumber if this comes up. No matter what you think is wrong with your plumbing system, the fact of the situation is that a plumber will know for sure. They have the expertise and knowledge to repair your problems and let you get back to forgetting they ever existed. So whenever you have a plumbing system problem, no matter how unimportant it may be, don’t hesitate to call a plumber to fix it. Just reach out to Elizabeth Drain Service and we will help or guide you every step of the way! Some homeowners don’t think about finding a plumber until they have a serious water leak or a clogged drain. But, the best time to locate a plumber is long before a plumbing emergency ever occurs. Having contact information for quality home improvement professionals should be the goal of every homeowner, but many people are not sure how to find a plumber who provides quality work for a reasonable price. It sounds easy, but one of the best ways homeowners can find a great plumber is by asking their friends and neighbors for recommendations. 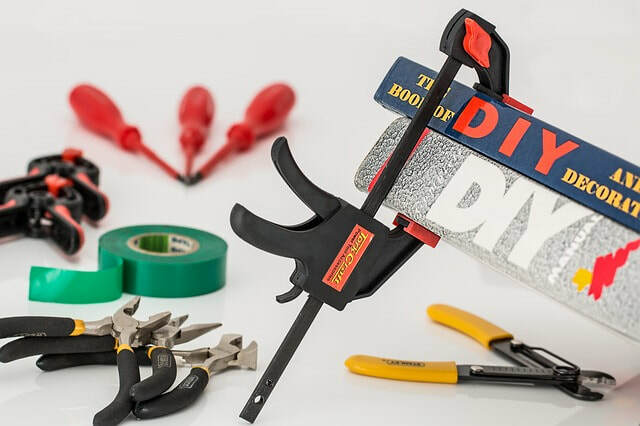 Verbal evidence recommendations are generally sincere and honest, so it is a great way to find the truth about plumbers a homeowner is considering. Consulting other types of professionals is another great way to find a quality plumber. General contractors work with a wide variety of tradesmen from plumbers to electricians. They know who has a good reputation in the home improvement community and who likes to cut corners. A good plumber should encourage potential customers to speak with past customers. Asking for a list of references and contacting them can give a homeowner information regarding the plumber's customer service, quality of work and pricing. Also, it can be helpful to check reviews online. 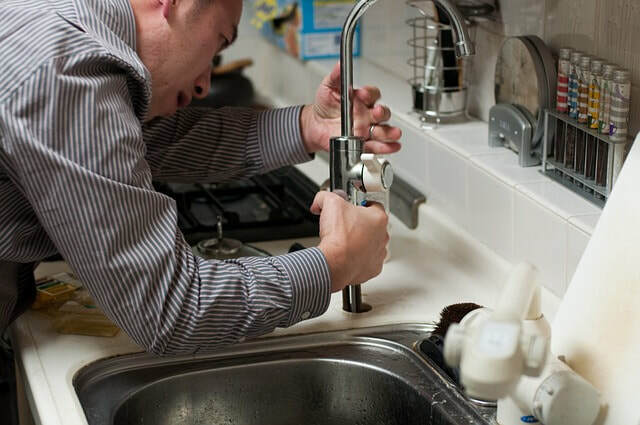 If a plumber has a long list of complaints or a poor rating, they have not been able to resolve disputes in a satisfactory manner in the past. Reading reviews of service providers online is helpful, but it's important to keep in mind that many online reviews are not examined for honesty or legitimacy. These reviews should be used as an extra tool instead of being the sole reason why a homeowner chooses or rejects a plumber. Most homeowners are living on a budget, so they need to find great service without breaking their budgets. Because of this, it's important to gather quotes from several plumbers before signing a service contract. Homeowners should request the quotes in writing so that the rates can easily be compared. It is also important to gain an understanding of exactly what is included with each quote. Some plumbers charge a flat hourly rate while others have patrons pay per job. 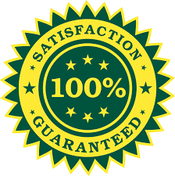 Still, others offer service packages or subscriptions that provide service calls for a monthly or yearly fee. Before homeowners request an estimate from a plumber, they should ask if there will be a fee for the service call. If the work does not need to be done instantly, homeowners should request an estimate over the phone to avoid paying a service charge for the visit. By following these procedures, a homeowner can find a quality plumber in his or her area. It's a good idea to keep the number of a reliable plumber handy since plumbing emergencies can occur at any time. Once a plumber has earned someone's loyalty and business, passing along their name to other people in the area who are looking for help can reward the plumber for their hard work.